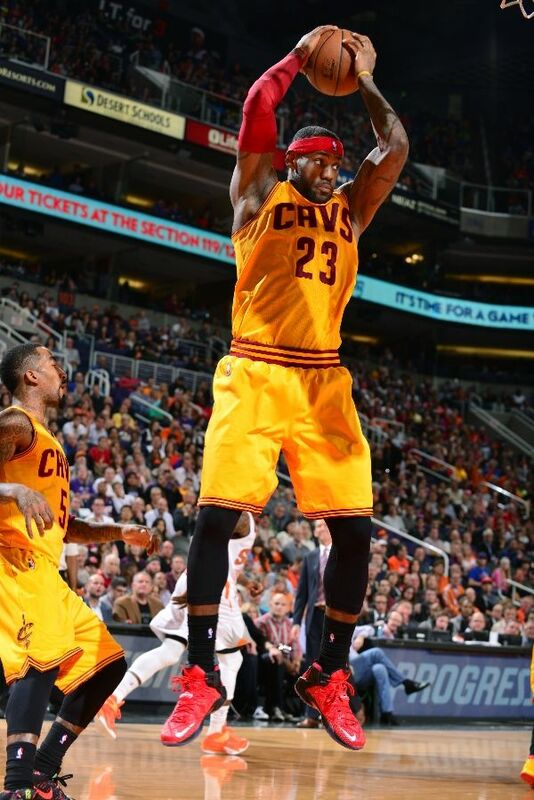 LeBron may have paid tribute to Ohio State with last night's game shoes. 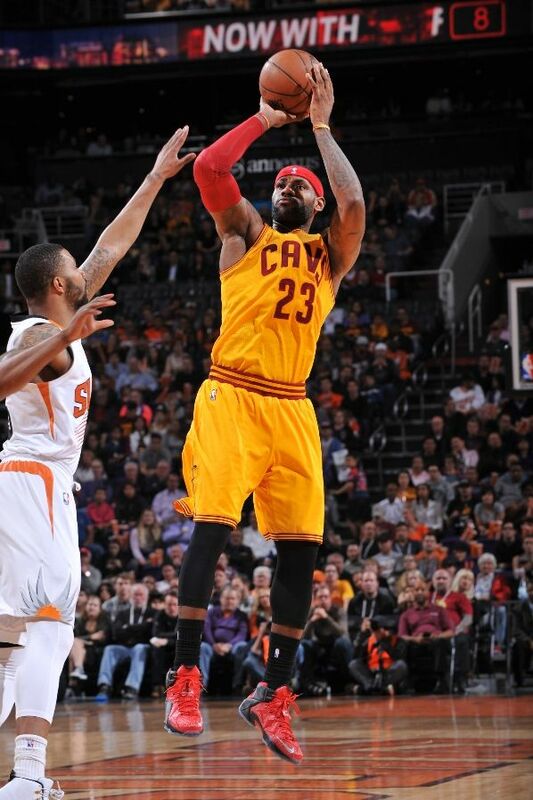 Back from his vacation injury rehab, LeBron James returned to the lineup last night when his Cleveland Cavaliers visited the Phoenix Suns. 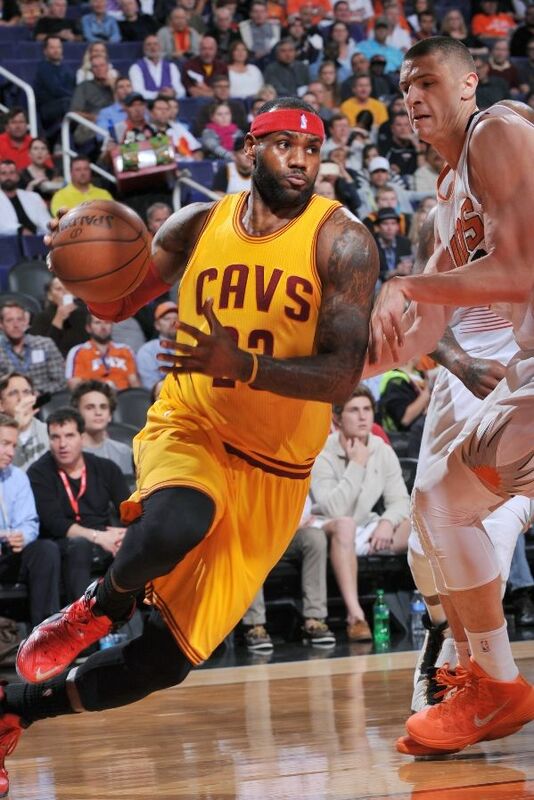 Perhaps a salute to the National Champion Ohio State Buckeyes, James went to work in a red and black Nike LeBron 12 Player Exclusive, enhanced by metallic silver branding on the tongue and forefoot. 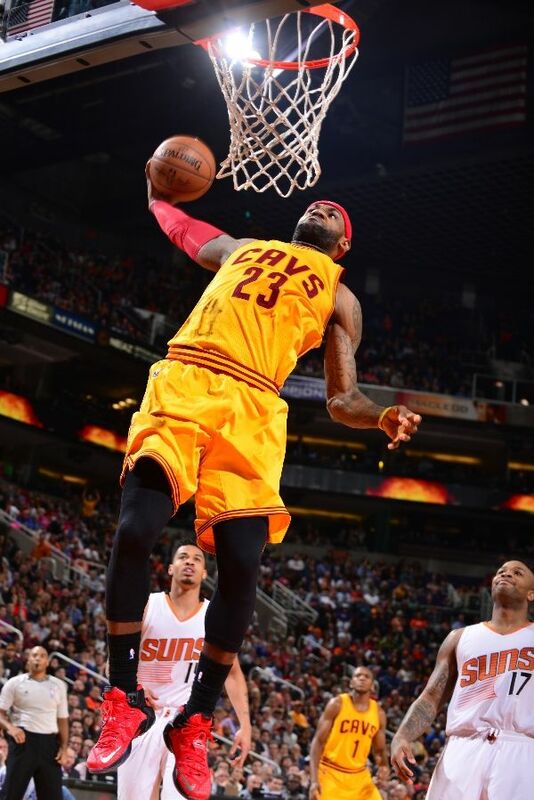 James went for 33 points, 7 rebounds and 5 assists in his return, but the Cavs fell below .500 with a 107-100 loss to the Phoenix Suns.